According to the US Library of Medicine and National Institutes of Health, alcohol can affect a user’s thinking and judgment every time they drink, whether it is only one or two drinks. Prolonged alcohol abuse will damage a person’s brain cells, which can lead to long term damage to their memory and thinking, as well as the way they behave. Moreover, long term alcohol abuse can lead permanent organ damage, such as the heart and liver, and permanent nerve damage in a person’s body. 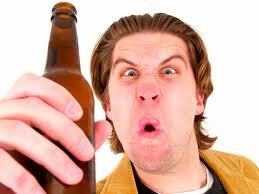 Alcohol abuse often makes people aggressive and potentially violent. Alcohol abuse is dangerous and has consequences, whether a person has abused alcohol one night at a party or has been abusing the substance for years. Alcohol is a depressant and a mood altering drug that impairs a person’s judgment and coordination. The more alcohol a person consumes, the worse their judgment and coordination will become. Alcohol abuse is commonly seen in all age groups, including individuals under the age of 21. Alcohol abuse incidents lead to thousands of deaths each year resulting in alcohol abuse being the third leading cause of death in America. Alcohol abuse can lead to alcohol dependency and addiction, which will consume a drinker’s life until they get help. Alcohol abuse, even for just one night, can cause a drinker to have irrational behavior and will impact their ways of socialization. When it comes to alcohol abuse, the people around the person abusing the alcohol are also affected by the drug. Numerous families are destroyed from alcohol abuse, and the majority of children that grow up in alcoholic homes have emotional and psychological problems when they get older. Moreover, many children that grow up in alcoholic homes become alcoholics themselves. Abusing alcohol is a social problem that not only impacts the drinker negatively, but also their community. Aside from alcohol abuse causing damage to families, it also can cause problems in a drinker’s work place, especially if they operate machinery at work. Alcohol abuse is already a problem with teenagers and underage drinkers, which results in tens of thousands of deaths every year. Furthermore, alcohol abuse can result in a person saying hurtful things or acting in ways they never would if they were sober. This can lead to drinkers accidentally causing harm to themselves or to others. Alcohol abuse effects will completely impair a drinker’s judgment as well as their coordination which can lead to the point of them blacking out and not remembering anything they did or said while drinking.